All 1st quarter water bills have been mailed to all customers. They were all mailed in an envelope. Payments are due on or before May 15, 2019. The Water Plant – Located in picturesque Pike County PA. 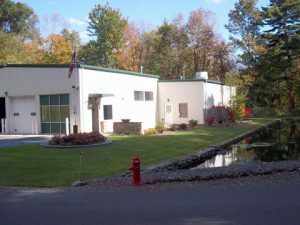 Since 1875 the springs on the plant property have been the source of water serving the Borough of Milford and parts of Milford, Dingman and Westfall Townships. The modern water treatment plant built in 1999 provides great tasting water and exceptional value to some 800 water users connected to our pipe network. 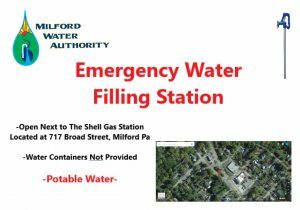 Before 1999, the Milford Water Authority delivered water to the Town of Milford through two open reservoirs fed by a total of sixteen springs. The reservoirs could hold a total of 575,000 gallons of water in storage. It is a Mission of the Board of Directors of the Authority to assure that the maintenance and timely replacement/upgrade of its assets is an integrated part of the annual operating and capital budget planning process and that its rate-based funding stream takes into account these projected system maintenance and replacement needs over a multi-year planning period. Our Chairman, Robert Stewart, continues to ask each customer to make a habit of conserving water by turning off taps, fixing leaks and avoiding waste. The Authority has instruments that help its employees detect water leaks underground on the distribution system. The employees continually monitor the system to do their part with water conservation. Is your toilet leaking? We have available at our office leak detection tablets that you drop into your tank. If the water turns blue, the seal around the flapper is leaking water. This is the reason for most high water bill complaints. If you would like a sample, please stop by the office. Water is a limited resource that we must conserve and protect for future generations. 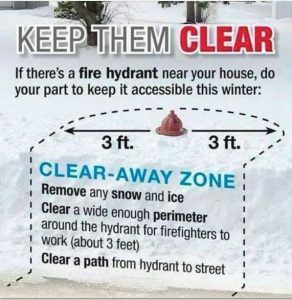 The Authority strives to keep all of its fire hydrants clear of snow during the winter months. We appreciate any help we can get with this daunting task to help protect all the homes and businesses in our service area. Please follow the diagram below. To all of the Authority’s customers who use heat tape, please make sure they are plugged in! If you’ve experienced frozen water lines in the past, when the temperatures drop below zero, please leave a faucet running to keep water moving in the water line. 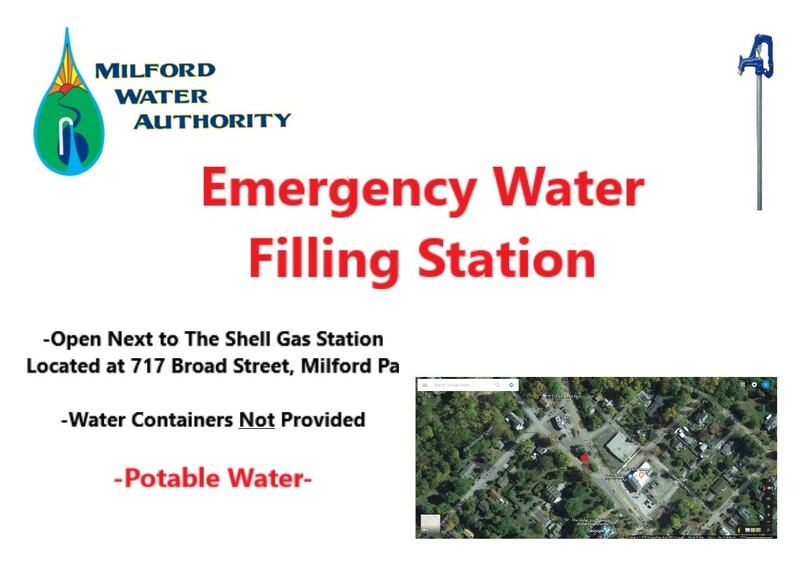 Due to the recent severe storms that have affected the entire Pike County area with prolonged power outages, the Authority with cooperation from all municipalities and county officials and the Department of Environmental Protection, created an emergency filling station at the yard hydrant behind the Shell Gas Station located at 717 Broad Street in Milford. This station will open whenever severe power outages hit the area. Due to a gravity fed system, the Authority can supply potable water to its customers even during these outages. You will need to bring your own water jugs for filling.